Guest Speaker Joel Pomerantz gives us a tour of the the geology that shaped our city (and our bike rides!). The Lower Haight once had lakes and streams. The valley had been the site of Spanish Mission trails and Ohlone trails before. 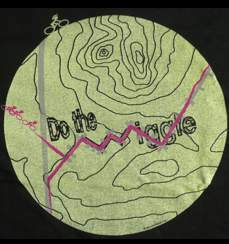 Its zigzag of streets is known as the Wiggle by today’s bicyclists avoiding hills. Come glimpse the past and future of this fascinating urban valley with Joel Pomerantz, local geography researcher, founder of Thinkwalks.org and co-founder of the SF bicycle Coalition.